Bunbury City Motorcycles is a WA owned family business that has been supplying new and used Motorcycles, All Terrain Vehicles (ATVs), Motocross Bikes, Road Bikes, Kids Bikes, and Farm Bikes to WAs South West region for over 25 years. Since our inception in 1985, we have moved premises on three occasions to accommodate our ever-expanding product range. 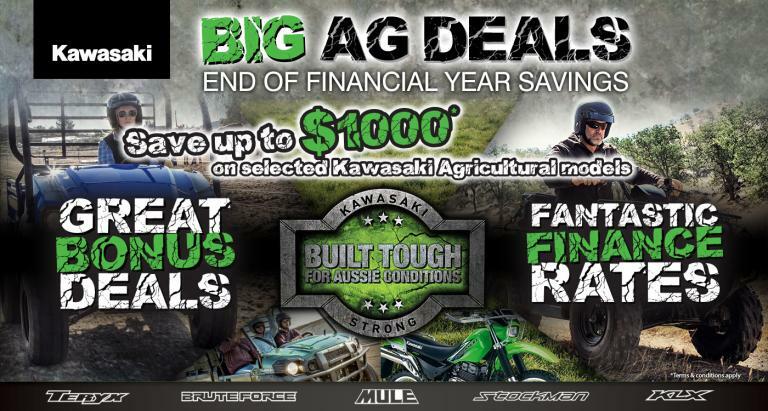 Today, we stock everything from farm gear and fun bikes right through to motocross and performance motorcycles. We operate from a purpose built facility in Stuart Street, Bunbury, which is locally known as the South Wests 4-wheeler supermarket. Its one of the biggest motorcycle and ATV centres of its kind in WA. Bunbury City Motorcycles is proud to have been a part of the local racing, riding, and agricultural communities for many years. Our team has extensive experience in both the motorcycle and farming industries and can help you select the vehicle or products that best suit your needs.